If you are following a wheat free or gluten free diet and you want to use soy sauce it's essential you source the correct type as regular soy sauce is fermented with wheat. When checking recipes or readymade products that are wheat free or gluten free they should only contain wheat free Tamari. If 'soy sauce' is listed in an ingredients list then it will almost certainly contain wheat fermented soy sauce. 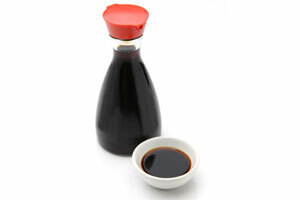 Do not use regular soy sauce in wheat/gluten free cooking as it contains wheat. Anywhere that soy sauce is required substitute wheat free Tamari, but make sure you use specifically labelled wheat free Tamari, not regular Tamari which does contain wheat.